Zoe Saldana has always been one of my favorite actresses, being a fellow Latina and hailing from New York and all that. I never knew a lot about her private life, but I admired her when I heard that Salanda married Italian artist Marco Perego in a low-key affair, and I know that they've kept many details of their relationship very private since then. 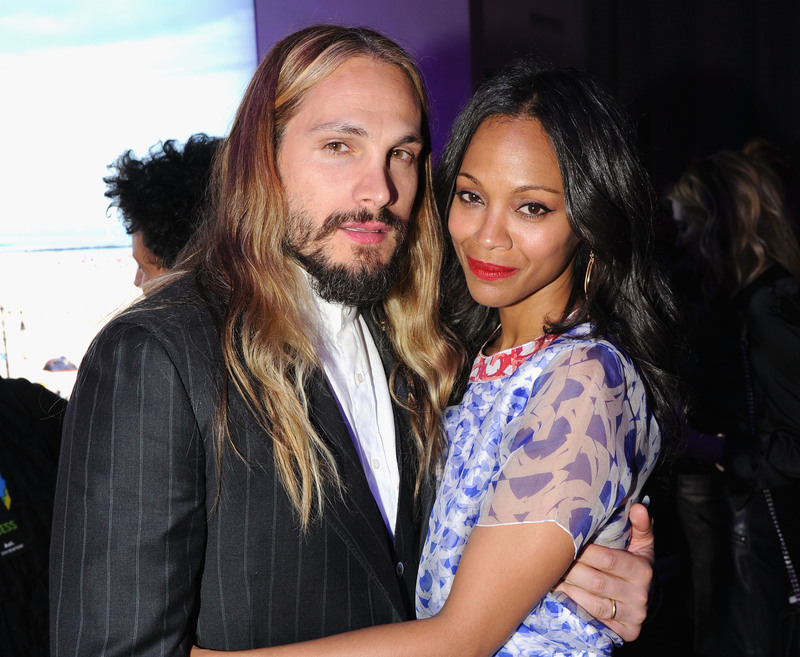 While the thirst is real, the Guardians of the Galaxy star hasn't given us too much information about her relationship with her husband, but going by the few bits we have learned, it's safe to say that Perego and Saldana have a healthy, balanced, and progressive relationship that is worthy of envy. I tried to talk him out of it..."If you use my name, you're going to be emasculated by your community of artists, by your Latin community of men, by the world." And what did her new husband have to say about this? "Ah Zoe, I don't give a s--t." SWOOOON. I know a little something about the Latin community and it definitely still has strong ties to machismo culture. It is a beautiful anecdote to see that this modern man decided that his wife's name was worthy enough to take and subsequently pass on to their twin boys, Cy and Bowie, as well. Seriously, husband goals right here. And they aren't the first celeb couple to go against tradition in this way. Rumors have run rampant that Jay Z's official name is really Shawn Knowles-Carter, which would keep the Knowles name alive since Beyoncé's parents did not have any sons. John Lennon also famously changed his name to John Ono Lennon for his wife, Yoko Ono, and explained, "Yoko changed her name for me, I’ve changed mine for her. One for both, both for each other. She has a ring, I have a ring." John Lennon: setting progressive relationship goals since 1969. Since I've been with Marco, I've been lowering my guard. Finally when we had our boys, I looked at my husband and I realized: I was meant for you and you were meant for me. I've always felt comfortable around men as long as they were friends. Now I finally feel comfortable with my lover. I don't want to be separate. I want my church. I want to live inside the religion of our own little family. Now, this is an example of love that I want to follow.